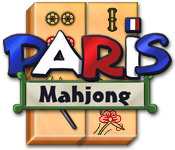 Paris Mahjong is rated 2.8 out of 5 by 12. Rated 4 out of 5 by gfgayle from Great Very enjoyable. Not super challenging but lots of fun. Rated 3 out of 5 by sereneorchid from Somehow it misses My comments are based upon the hour trial: There's not much Parisian about this game, as you can see from the preview shots. The tiles are nice, but guys may find the cake, hearts, and kisses kind of girly. I didn't play far enough to get to the tiles with gemstones. Those are apparently earned at some level, as there are no options for changing tiles, backgrounds, or game options other than sound. The game is rather bland. Same old - same old level after level. There are four nice power-ups, but I didn't need them as when there were no more matches, the game automatically reshuffled the tiles for me. So I won every level. And I know it's not because I'm a mahjong genius. I also noticed a slight hesitation in the game after making a match, which is annoying if you are a quick player, or could affect the game if you play the timed version. My best advice is to try this, especially if you are a novice player, as this seems to be an easy game. Probably good for kids because of the large tiles and easy matching. 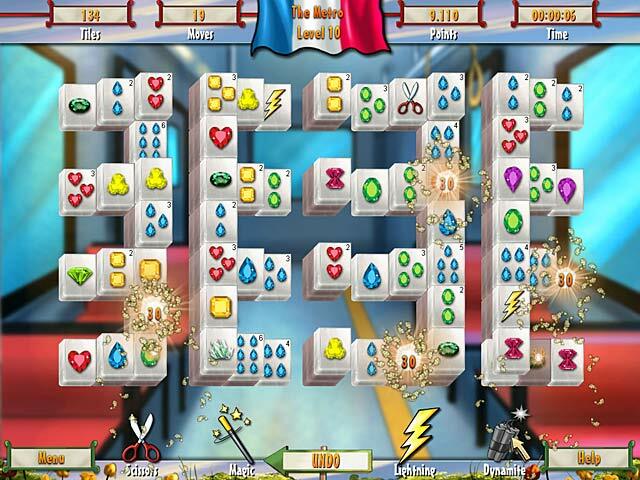 Rated 3 out of 5 by deepplum from Ok Game I love Mahjong games usually but wasn't all that impressed with this one. Maybe because I got tired of the first set of tiles used. Rated 3 out of 5 by Cherylao from Very Easy Game I only played the first 20 minutes of the demo. The visuals were bright and cute, but the boards were not at all challenging. Maybe a beginner or kids would like it. Rated 2 out of 5 by GraneeJ from Fails regularly at second section It worked long enough so that I bought it, but won't go past the first set of games. I have OS 10.5 and have learned to test with download before buying so am very irritated that this one worked long enough to seem okay but is a waste since it can't be played beyond the simplest level which is quite routine and rapidly becomes boring. Rated 2 out of 5 by Razorback55 from Be sure and skip this one I don't leave reviews very much, but had to on this one. I love mahjong, but this one was so bad. The music is awful and storyline just wasn't there. I didn't even finish the demo. Rated 2 out of 5 by mammamia21099 from Disappointingly Booooring!!!!! 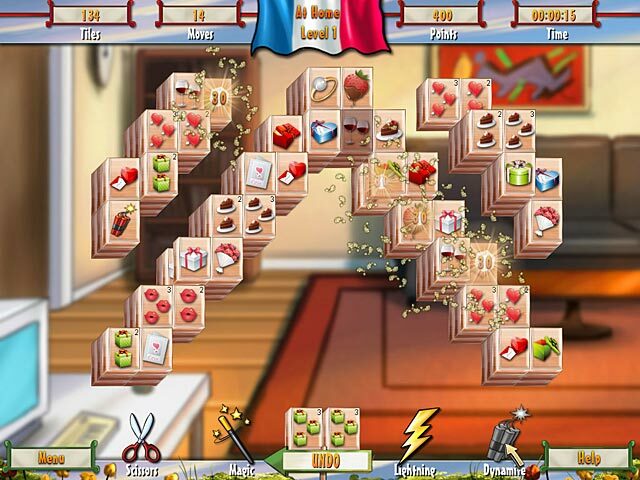 Wow, with all the fantastic mahjong games out today, this one missed the mark completely. It starts out seemingly an adventure type mahjong game, but then fails to live up to even that expectation. We start out in our "heroine's" apartment. She tells us that we need to win 7 games so she is able to style her hair for an outing in Paris. Then you start playing mahjong games, one after another with no variance. It never goes back to the apartment at all, just continues with game after game. No challenge at all. I played approx 20 games in my hour trial, and the storyline never continued at all. 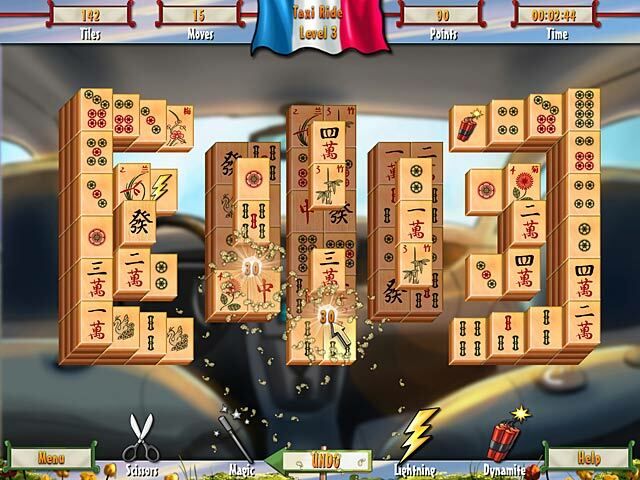 I will say, the artwork was terrific, but that is the only good thing I have to say about this game..
Test your mahjong might in this fun filled puzzle classic with 60 enchanting levels for beginners and puzzle pros alike!